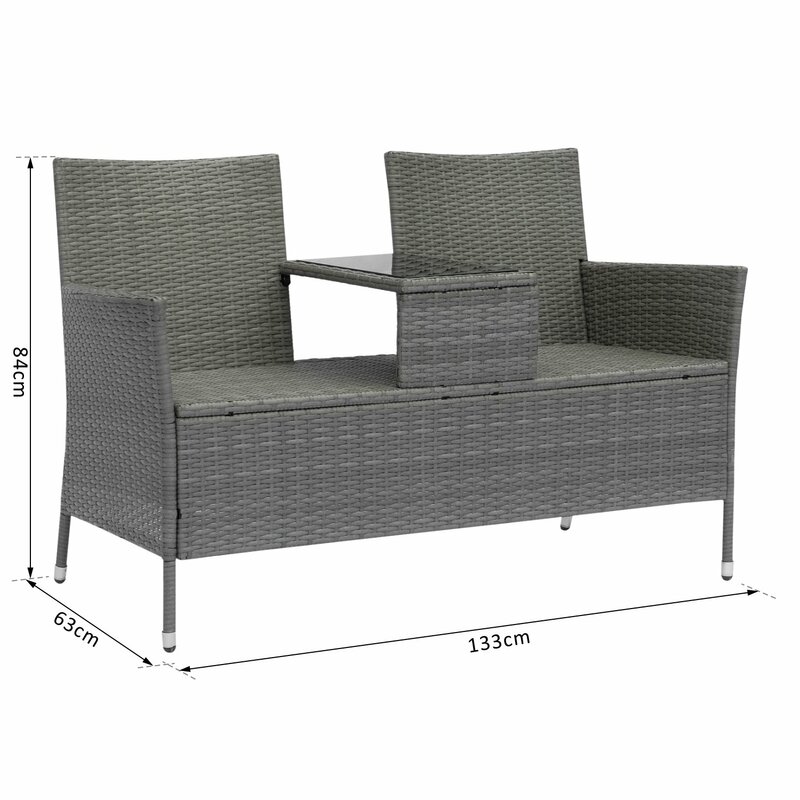 This stylish and modern double rattan chair with premium quality is suitable for the yard, patio, deck, garden or home use. Solid metal pipe and durable PE wicker are of excellent craftsmanship. That each seat has 1 cushion filled with 180g/㎡ cotton can provide a higher degree of comfort. The 18kg gross weight allows you to take it to a certain destination. You can buy it at a crazy price. You can also find it in Black Here.